The stunning sketch of poppies beside your wedding details will captivate your guests on these white response cards. 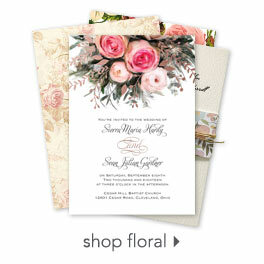 Personalization Options: Floral design is printed in your choice of colors. Your wording is printed in your choice of colors and fonts.